Simpler times. The Osirak reactor before the Iranian and Israeli attacks. Can’t make this stuff up. 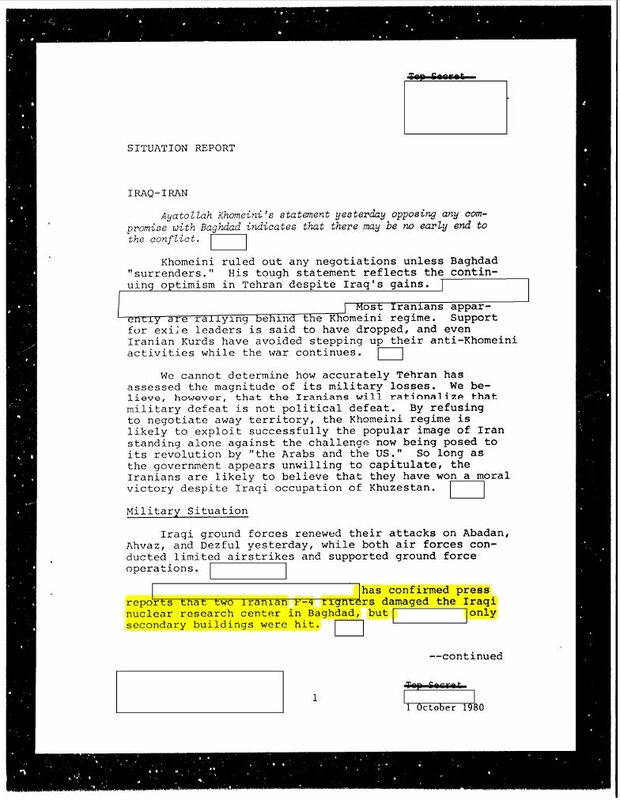 Below is a page from the CIA’s 1 October 1980 National Intelligence Daily (NID) that reported the Iranian attack. Mad Libs on who "confirmed" the strike to the CIA? My bet is on the French Ministry of Foreign Affairs. According to Tom Cooper and Farzad Bishop of Air Enthusiast, who have written by far the most informative (if unsourced) piece on the subject, Target: Saddam’s Reactor, eye witnesses reported that two bombs hit the dome of the reactor and bounced off. 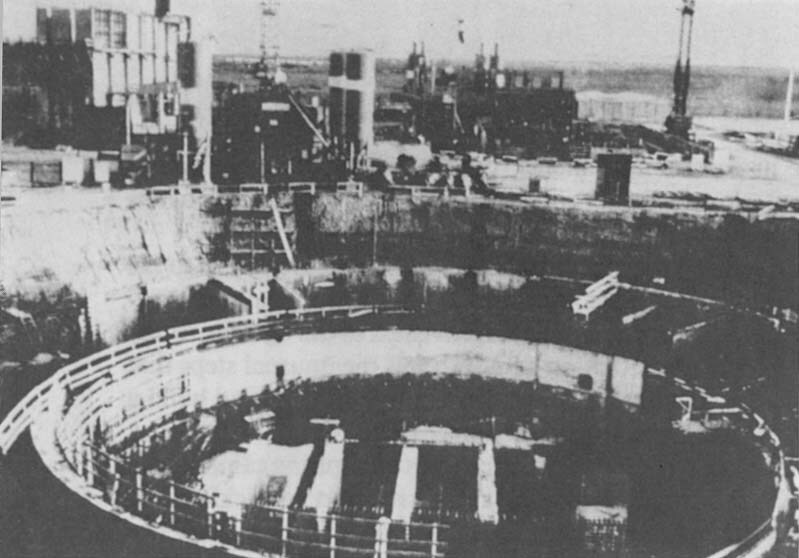 The water cooling facility was also damaged, as were the facilities for storing and treating liquid radioactive waste. 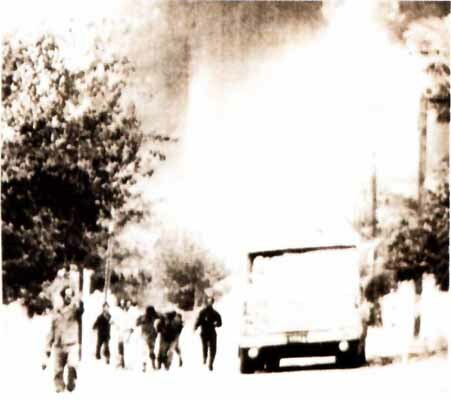 Some publications (see the Christian Science Monitor, 22 October 1980) reported that the attack was conducted by Israel. The CIA NID refuted this at the time, and the Air Enthusiast article also factually debunks this claim. From Air Enthusiast. 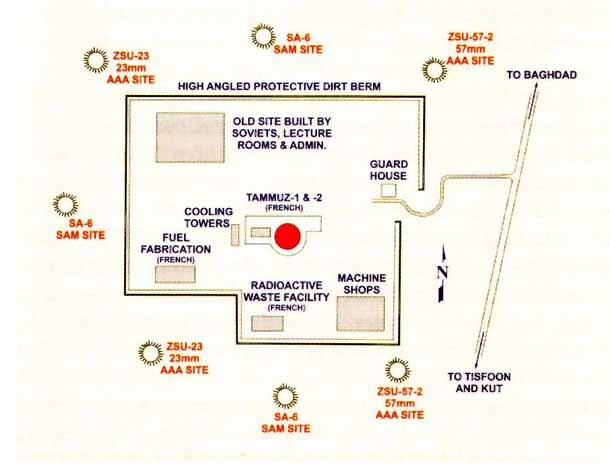 Layout of the Osirak Nuclear Research Facility. Photograph of the Iranian strike taken by a French journalist. Posted at Air Enthusiast. Then, on 30 November 1980, three Iranian Phantoms again entered Iraqi air space. Two entered first, drawing the attention of Iraqi defenders. Soon after, according to Iranian sources quoted by Air Enthusiast, the third –a recon-Phantom– “approached to the south of the target [the Osirak Reactor] at low level, then turned back towards the east and made a single pass over the Osirak reactors while being fired at by several Iraqi AAA and SAM sites. Once out of the target area, the two F-4Es joined up again and escorted the RF-4E safely out of Iraq.” These photographs would lead to the end of Osirak. On 2 December 1980 –again, if the Iranian accounts can be believed– an unmarked Boeing 707 landed under cover of darkness in Mehrabad Airport, Tehran. There, a crew member was handed “a small metal briefcase, with the instructions ‘Do Not X-Ray’ painted in English on the outside.” Inside, in all likelihood, were the images photographed by Iran and used by the Israeli Air Force in 1981 to conduct Operation Opera, the first successful military destruction of a nuclear reactor. As an Israeli airstrike on Iranian nuclear facilities continues to loom, Iranians can remember –certainly with some irony–that that their nation was the first to launch an attack on a rival’s nuclear reactor. ← The Syrian-Iranian Relationship: Do We Get It Now? Did We Ever? have you ever noticed that all the secondary were hit by Iranian and its much harder to draw a circle of fire around the center Iranian only concern was possible radioactive fallout there never been any problem with bombs throughout the 8 years of wars but so soon at the start of the war there were no information available about the extent of possible civilian casualties of possible radio active fallout .this by itself shows Iranian decision making spirit and rationality which later responded by the west inform of providing Saddam with nerve gas and other chemical and biological WMD which not only used against Iranian soldiers but also against Iranian civilian targets in unprotected urban centers. actually Iran lived the responsibility that you can see only in western cover up movies .